Silicon Valley-based UAVOS is a leading developer of innovative unmanned solutions for air, ground and marine applications, specializing in UAV (unmanned aerial vehicle) platforms, autopilots and other components. 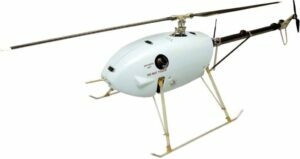 Our robotic systems products, ranging from small quadcopters to large fixed-wing aircraft, are ideal for a wide range of industrial, commercial and defense applications. In addition to off-the-shelf products, we can also supply complete turnkey UAS solutions, and convert existing manned aircraft into unmanned platforms. Our automatic control systems (autopilots) for UAVs, USVs and UGVs provide the option of automatic take-off and landing, semi-automatic control with automatic stabilization, or full manual control via a ground control station. In addition, they also allow for broadcasting of telemetry data as well as monitoring and control of payloads, power supplies, propulsion systems and more. 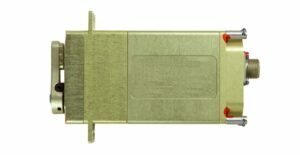 Each kit contains modular components, such as IP67-sealed CPUs and onboard telemetry units in rugged aluminium housings, as well as GPS receivers, pitot tubes and antennas. A wide variety of payloads can be interfaced via 1-wire, RS-232, RS-485, TTL UART or CAN. AP10.1 Automatic Control System for fixed-wing and VTOL UAVs with 100-1500kg MTOW, as well as lighter-than air systems, UGVs and USVs. 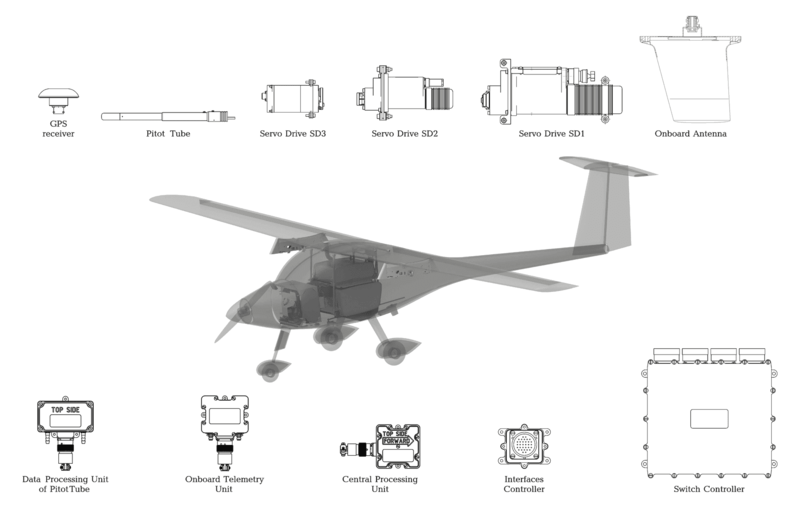 AP10.2 Mini Automatic Control System for fixed-wing and VTOL UAVs with 15-100 kg MTOW, as well as lighter-than air systems, UGVs and USVs. 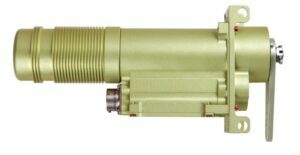 AP10.3 Micro Automatic Control System for sUAS with <15kg MTOW. All our Vertical Take-off and Landing (VTOL) UAVs are available as a complete unmanned aerial system bundled with a Ground Control Station (GCS). The UVH-290E is a rotary gasoline engine powered helicopter drone that features fully automatic operation, including take-off and landing, as well as a semi-automatic control mode. Diagnostics, flight planning and remote control can be performed via a wireless network connection. The UVH-290E is ideal for industrial surveillance and monitoring applications, as well as environmental missions such as meteorology and hydrology. The UVH-EL is an electrically propelled unmanned helicopter with rechargeable Li-Ion batteries. It can be controlled semi-automatically or carry out missions with full autonomy. It is ideal for target designation, industrial monitoring, and environmental research applications. 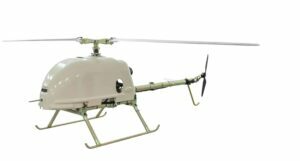 The UVH-120E is a four-stroke gasoline engine-powered unmanned helicopter specially designed with improved engine cooling for reliable operation in hot and humid environments. 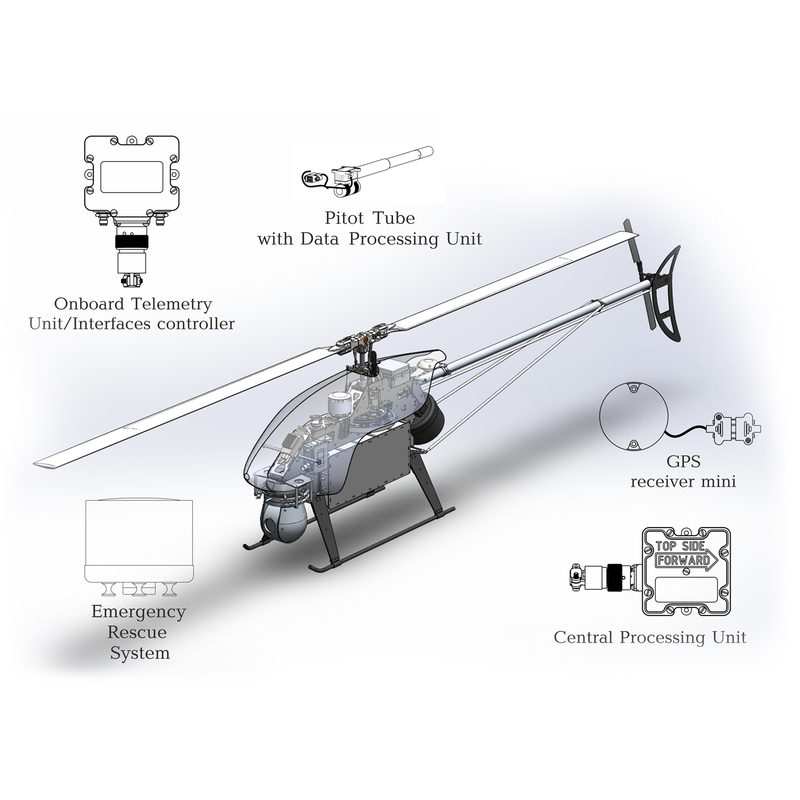 It is ideal for payload delivery, surveillance and monitoring, and environmental research. The UVM-1E is an industrial-grade quadcopter with a rechargeable Li-Ion battery. Capable of fully autonomous operation including takeoff and landing, it can be equipped with an optional ballistic parachute rescue system. The UVM-1E is capable of delivering small payloads of up to 1kg, and is also ideal for video surveillance and monitoring. 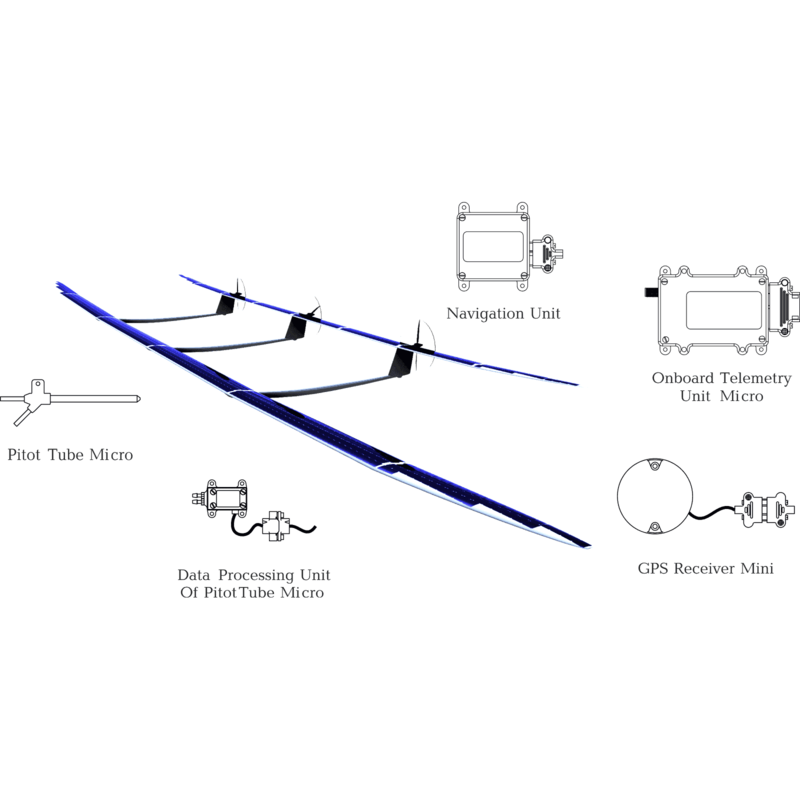 All UAVOS fixed-wing UAVs are available as a complete unmanned aerial system bundled with a Ground Control Station. 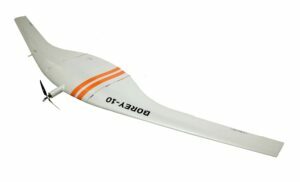 The BOREY is a fixed-wing UAV capable of full mission autonomy that can be prepared and assembled in ten minutes. 64Ah of Li-Ion storage give the BOREY a four-hour endurance, and a low part count gives the aircraft increased reliability. It can be launched via elastic cord or catapult and is equipped with a parachute for emergency landing. 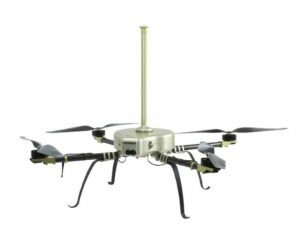 The BOREY is ideal for a wide range of long-endurance UAV missions, including mapping, search and rescue, and precision agriculture. The Albatross is a long-endurance fixed-wing UAV based around a modified Pipistrel Sinus motorglider platform. Its reinforced fuselage and gear have been specially engineered to endure multiple daily missions and severe accelerations. Takeoff, landing and flight are fully automatic, initiated with the press of a button. The Albatross is ideal for long-range surveillance and monitoring, as well as deployment of a smaller target drone of up to 280 kg (617lbs). 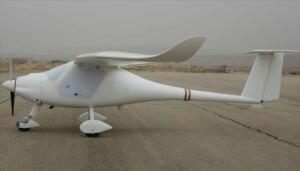 The SITARIA is a fixed-wing electric unmanned aircraft with fully automatic takeoff, landing and mission modes, as well as assisted semi-automatic operation. Its unique aerodynamics allow the aircraft to quickly change the wing position relative to the fuselage when the weight of the payload changes, resulting in improved control. The SITARIA features a command link with range up to 100km, an optional video transmission link with range up to 60km, and an Iridium backup command link with unlimited range. It is ideal for a wide range of applications including mapping, surveillance, precision agriculture and radio link relaying. 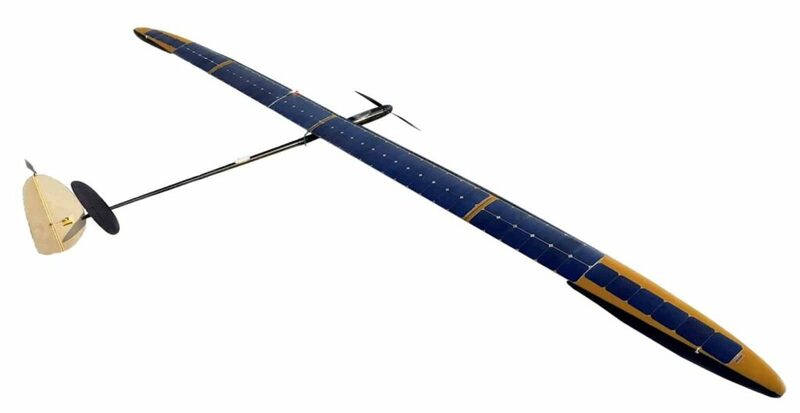 The SAT-i is a solar-powered fixed wing UAV capable of unlimited operation under solar radiation angles of at least 20 degrees. Launched by hand, the SAT-I features fully autonomous mission operation and landing, with a touchdown accuracy of approximately 100m on a 200m landing zone. The SAT-i features a command link with range up to 100km, an optional video transmission link with range up to 60km, and an Iridium backup command link with unlimited range. It is ideal for a wide range of applications including mapping, surveillance, precision agriculture and radio link relaying. 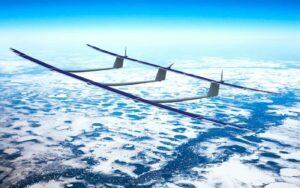 The ApusDuo HAPS is a solar-powered HALE UAS designed for continuous year-round monitoring operations, with unlimited endurance under solar radiation angles of at least 20 degrees. The innovative flexible wing system analyzes spanwise deformation and adjusts the lift force at required sections to compensate, evenly distributing load at all times and optimizing the aircraft’s efficiency. 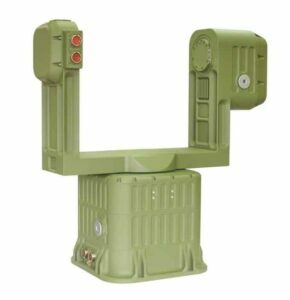 The ApusDuo is designed for persistent monitoring of the earth’s surface for both commercial and defense/security applications, and can also be used to provide communications and broadband connectivity to otherwise denied regions. 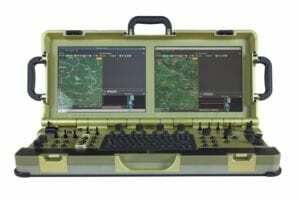 The Portable Ground Control Station (PGCS) is a secure dual-screen computer system for real-time control and monitoring of unmanned vehicles. It is equipped with multiple joysticks to facilitate simultaneous operation by the aircraft and payload operators. The PGCS provides aircraft and payload control, real time telemetry, data recording and playback, pre-flight mission preparation and upload, and a variety of other functions. 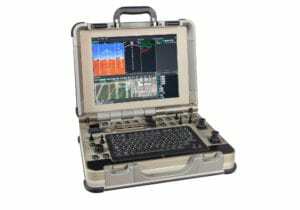 The Portable Ground Control Station 2 (PGCS 2) is a single-screen version of the PGCS, offering the same functionality and simultaneous operation of aircraft and payload. It can also be outfitted with an optional Iridium satellite modem. 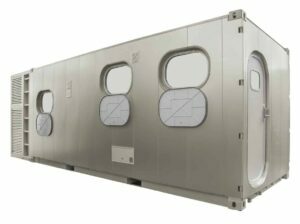 The Ground Control Unit (GCU) is a complete mobile command module for unmanned systems, housed in a modified 20-foot container. It is equipped with two separate PC-based workstations, each with three monitors and a customizable control panel, and features omnidirectional antennas for telemetry and communications, and video and data links. The GCU is designed for long-term operation of unmanned systems, and is equipped with a 15 kW generator, air conditioning, and kitchen and toilet facilities. Our UAV servo drives are designed for precise, controlled movement of unmanned aircraft components and wing surfaces, as well as converting manned aircraft into UAVs and equipping them with automatic piloting systems (APS). Current, voltage, board temperature and absolute encoder position can all be continuously monitored. 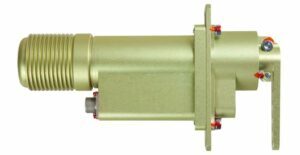 We offer servo drives for three different UAV weight classes, each with different shaft speed, torque and gear ratio options. 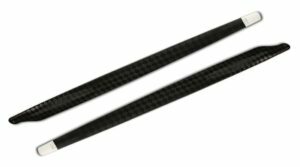 Our two-bladed main rotor propeller blades for drone helicopters are constructed from polymer composite materials using a one-step molding process, and offer improved aerodynamics, high strength and rigidity, and superior reliability. 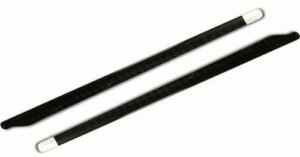 We offer rotor blades for helicopters with up to 60kg and up to 140kg take-off masses. The GSG-185-FHD-XGA (R) is a gyro-stabilized two-axis visual and thermal camera gimbal for operations both during the day and at night. It features an integrated 30x optical zoom Full HD block camera, a thermal LWIR 1024×768 camera, a 2500m laser rangefinder (optional) and GPU (Graphics Processing Unit). 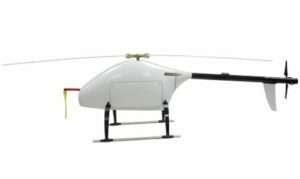 The GSG-185-FHD-XGA (R) is an ideal UAS payload for a wide range of applications, including prospecting, surveillance, and mapping. 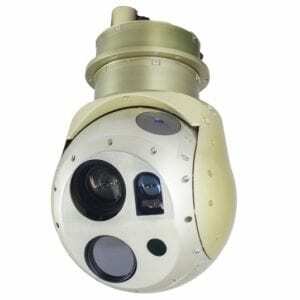 The GSG-101D is a gyro-stabilized two-axis visual camera gimbal for daytime surveillance operations. It features a SONY FCB-EV7500 camera and can transmit a compressed H.265 secondary video stream via Ethernet to a UAV’s on-board video modem. 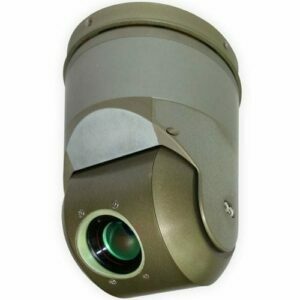 The GSG-101.2T is a gyro-stabilized two-axis thermal camera gimbal featuring an LWIR 640×480 camera. It is ideal for complex UAV thermal imaging missions such as mapping, inspection and surveillance. 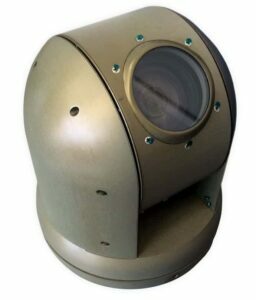 The PTP-03 Turret is designed for precision manipulation of payloads such as cameras, thermal imagers, laser rangefinders and directional antennas. It can be fitted with a GNSS module and is ideal for mobile surveillance and tracking platforms such as UGVs. 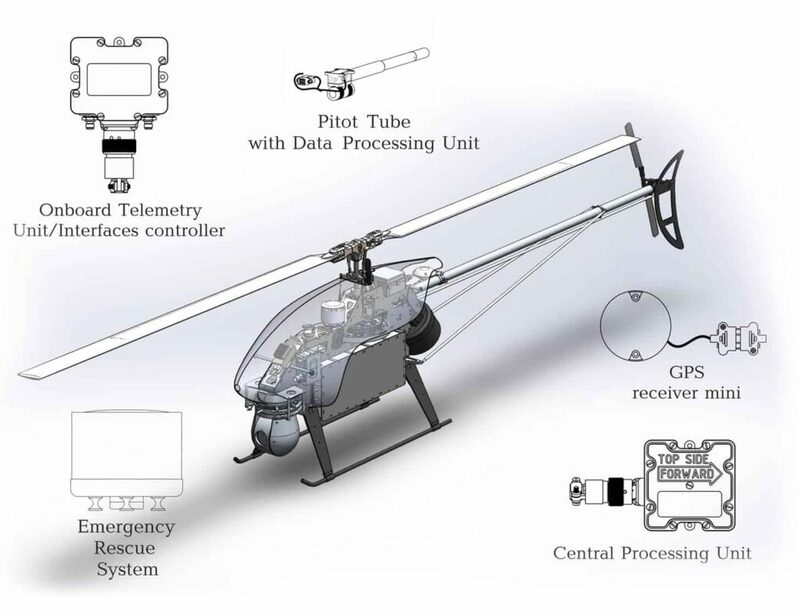 The UAV Interception System is a UAV-mounted counter-drone device designed to disable high-speed unmanned aircraft moving at up to 75 mph (120 km/h). 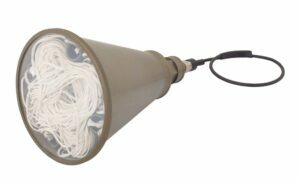 Installed on a UAV facing rearwards, it utilises a small explosive cartridge to launch a net at potential drone threats. By submitting this form, you consent for your details to be sent to UAVOS Inc. and its authorized partners in order to respond to your inquiry. Depending on the location of the organization, your personal information may be transferred and processed outside of the European Economic Area.